This skid plate has been engineered to fit 1996-2002 Toyota 4Runner and take all of the abuse off roading will throw at it. 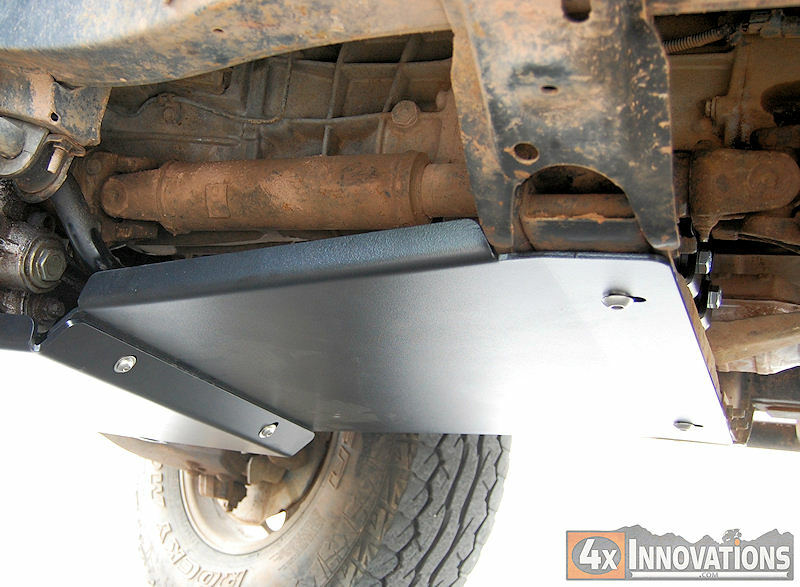 4x Innovations Trans skid plates protect your transmission from angry rocks and logs. The skid plate starts at the back of the 4x Innovations Front Skid Plate and covers to the transmission cross member. 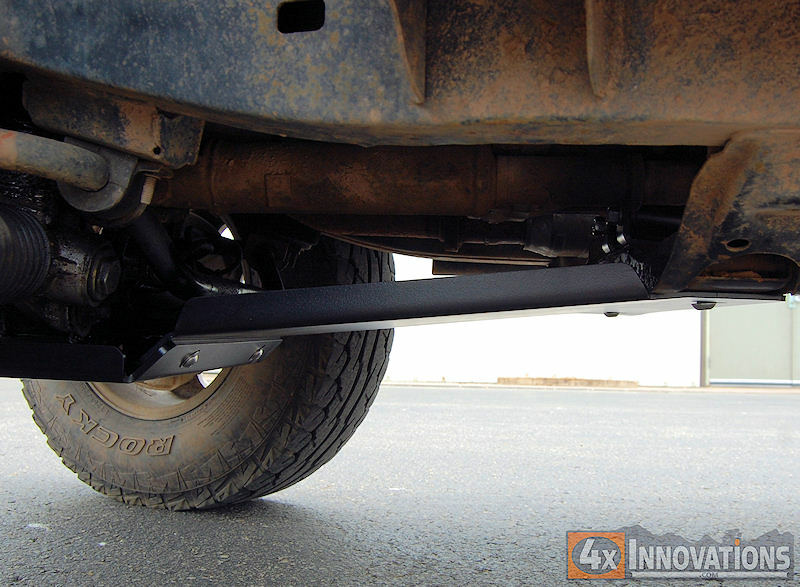 There are 4 mounting points to hold the skid plate securely in place. This plate is laser cut and CNC bent from high quality 3/16" American steel and ready to protect your truck from the trail ahead. Ships bare steel, ready to paint with the coating and color of your choice.